Syria began its fully independent life as a parliamentary democracy, but within months the military took the lead, staging a series of coups and wielding power in cooperation with a political and economic elite comprising a small number of land-owning and merchant families, most based in Damascus, Aleppo, and Homs. The first, bloodless, coup was staged on 30 March 1949 by the chief of staff, Colonel Husni al-Zaim, who overthrew the elected government of President Shukri al-Quwatli and dissolved parliament. The second coup, by Colonel Sami al-Hinnawi, occurred on 14 August 1949. Al-Zaim and his Prime Minister, Muhsin al-Barazi, were arrested, tried, and executed. Al-Hinnawi returned Syria to civilian rule through general elections in November. 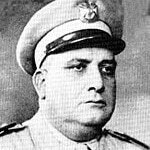 On 19 December 1949, his regime was toppled in a third coup, led by Colonel Adib Shishakli, who had taken part in al-Hinnawi’s putsch. The new Syrian leader arrested al-Hinnawi, accusing him of conspiring with Iraq against Syria. Shishakli insisted that all governments should include his protégé, Fawzi Selu, as Defence Minister. 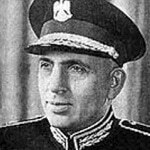 When Prime Minister Maarouf al-Dawalibi refused, Shishakli staged a second coup, on 28 November 1951. He arrested al-Dawalibi, along with his entire cabinet and numerous other politicians whom he distrusted. In protest, President Hashim al-Atassi resigned. Shishakli’s rule became increasingly dictatorial. In 1952 he banned all political parties while establishing his own party, the Arab Liberation Movement. By mid-1953 opposition to Shishakli’s regime was reaching fever pitch, particularly amongst leftists and nationalists and amongst the Druze, towards whom Shishakli had been especially antagonistic. The main opposition parties agreed to work together for Shishakli’s downfall. In January 1954 the army bombarded towns in the Jabal al-Druze with heavy artillery, killing and wounding scores. The regime declared martial law, but to no avail. On 27 February 1954 Syria’s fifth military coup since independence was staged, by Colonel Faisal al-Atassi, who restored parliamentary rule. These initial military regimes were more or less non-ideological, but they came as the region was swept by a tide of nationalism whose leaders were determined to rectify the mistakes and eliminate the weaknesses that had led to the Arab defeat by the Zionists in the 1948-1949 war in Palestine. In 1952 the Egyptian monarchy was toppled by young military officers headed by the charismatic Gamal Abdel Nasser, who was soon riding a wave of pan-Arab popularity, and the Iraqi monarchy fell in 1958. Baathism was one of the strongest currents in this tide. The Baath (Renaissance) Party was founded in Damascus in the 1940s by two high-school teachers, both graduates of the Sorbonne: Michel Aflaq, a Greek Orthodox Christian, and Salah al-Din al-Bitar, a Sunni Muslim. The party’s two key slogans were ‘Unity, Freedom, Socialism’ and ‘One Arab Nation with an Eternal Mission’. In its early years the Baath Party, advocating Arab unity and social justice as the way to an Arab revival, had only a few hundred members, most of them students from rural backgrounds. By the early 1950s the membership totalled only about 4,500, but a landmark in the Baath’s development came in 1952 when it merged with the Arab Socialist Party (ASP) of Akram al-Hourani, a step that gave the party its first mass peasant constituency. 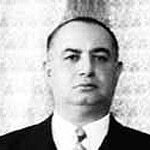 Al-Hourani, a lawyer from the city of Hama, had earned a reputation as an Arab nationalist during the French mandate and, following Syrian independence in 1946, as a champion of his region’s oppressed peasant farmers. 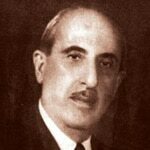 In 1950 al-Hourani organized his followers into the ASP, whose headquarters were in Hama. Under the dictatorship of Adib Shishakli, who had seized power in December 1949, al-Hourani, al-Bitar, and Aflaq all took refuge in neighbouring Lebanon, where they agreed to merge their parties into an Arab Socialist Baath Party. According to a Syria specialist, it was ‘a coalition of the white-collar urban class, schoolteachers, government employees and the like, with revolutionary peasants’ (Patrick Seale, Asad: The Struggle for the Middle East, p. 47). Support for the Baath Party grew rapidly during the 1950s. The 1950s were the peak of radical leftist pan-Arabism in the Middle East, fuelled by the Arab defeat in the 1948-1949 Palestine war, by the Anglo-French-Israeli Suez campaign in 1956, and by the East-West Cold War, in which each side was seeking local clients. In Syria, these developments were clearly reflected in the country’s political life. The Baath Party won 15 percent of the vote and 22 of the 142 parliamentary seats in the 1954 elections, making it the largest leftist/nationalist party in parliament and the second largest party overall, after the conservative nationalist People’s Party, which won 30 seats. In third place was the conservative nationalist National Bloc (from which the People’s Party had split), with 19 seats. The Syrian Communist Party, which, during the 1950s, was the Baath Party’s fiercest rival, won only one seat. The largest single group in parliament comprised 60 independents. By the late 1950s, however, support for the conservatives had waned dramatically. 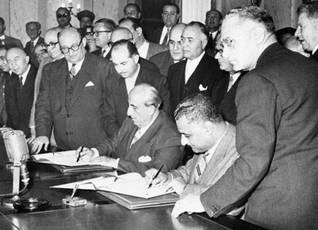 To encourage further erosion of support for conservatives, in 1957 the Baath Party and the Syrian Communist Party, by far the most effective of the leftist/nationalist groupings, agreed to collaborate. By the end of that year the two parties, with leftist and nationalist allies, controlled the government. 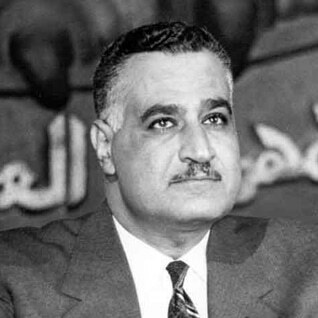 In 1958, in line with the Baath Party’s unionist ideology and to the acclaim of the Syrian public, to whom Nasser had become a hero after the Suez crisis, Syria and Egypt merged into the United Arab Republic (UAR), in which Syria became the ‘Northern Province’ and, for Nasser, very much the junior partner. Syrians had their first real taste of life in a police state where the Mukhabarat, or secret police, were used to root out and eliminate dissent. Syrian liberals often date the start of their country’s present travails to the period. The ruling party of the UAR was Nasser’s National Union, which was a creature of the charismatic Egyptian leader. Although the Syrian Baath Party had formally dissolved itself, as Nasser had insisted, a secret Baathist Military Committee, whose existence was unknown to civilian Baathists, was formed in 1959 by Syrian officers posted to Cairo; these included Hafiz al-Assad. The unhappy unionist marriage ended on 28 September 1961 with a putsch in Damascus headed by the anti-unionist and rightist army colonel Abd al-Karim al-Nahlawi. Parliamentary government was briefly restored (with the Baath Party winning 20 of the 172 parliamentary seats and the Muslim Brotherhood winning ten) but another army coup was staged in March 1962. Political turmoil persisted, and on 8 March 1963, just a month after a Baathist takeover in neighbouring Iraq, the Baathists, in alliance with Nasserists and independent nationalists, seized power in a military coup, the eighth since independence.